"I’ve been a client of Imagineer’s for almost 5 years, and still today, the best attribute the company has is their customer-centric culture. As someone who has used and worked with dozens of vendors over the years, I think Imagineer’s willingness to work with and accommodate their clients always, no matter how big or small, is instilled in their DNA." Our industry leading tools for no-touch account balance and transaction data imports seamlessly feed data from fund administrators or internal accounting systems into Clienteer. Native Mobile Apps (iOs & Android) empower business development and investor relations professionals to access and act on their data, responding to investors and prospects in real time from wherever they are. 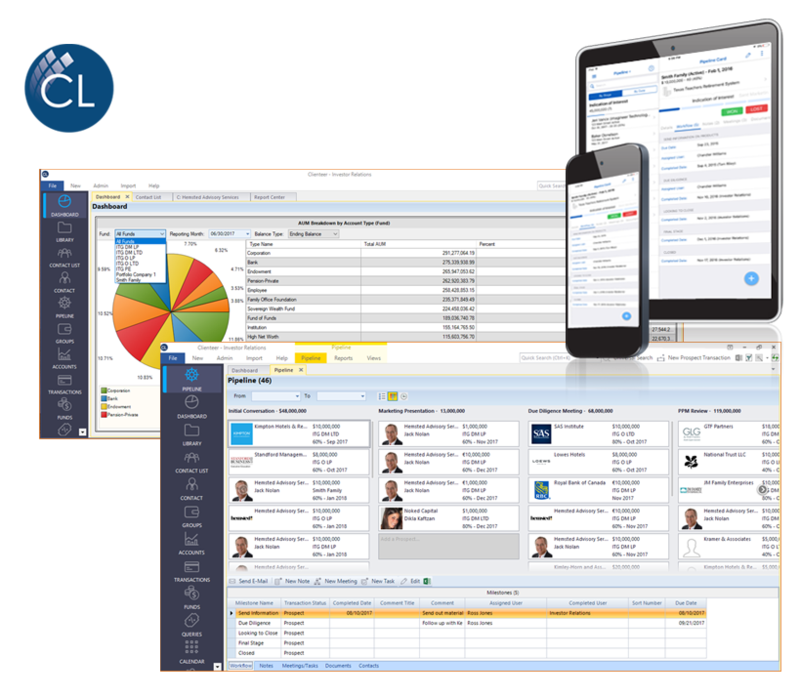 Clienteer supports multiple deployment options (our cloud, your cloud, or on-premise), that scale to the needs of any size hedge fund or institutional asset manager. The average tenure of our teammates is 7 years! The industry knowledge and extensive experience of our Support and Professional Services teams ensure clients experience quicker software implementations, rapid response times, and expert service. See why a $1.6 Billion Hedge Fund Migrated to Clienteer CRM!